IIn the past centuries, the farmers of Bronte and Maletto cultivated small patches of land in a very fertile area on the North-Western slope of Mount Etna, at 1100 meters of altitude, called Contrada Nave. Contrada Nave, that once was part of the duchy of Horatio Nelson, Duke of Bronte, owes this name to its shape, that resembles a ship. For others, the Contrada’s name originates from a very ancient myth, according to which the God Adranòs obtained from there the chestnut wood he needed to build his ships. To work the Contrada’s soil one needs a deep knowledge of the climatic changes that take place there and of the plants most suited to the altitude and exposure of its territory. That’s the reason why, through the centuries, farmers have selected the plants and vine varieties that fit in better, obtaining fruits of extraordinary taste. The Nave was a wonderful garden, full of small orchards, vineyards and olive groves. However, large part of this heritage was lost over the course of the years. Many generations passed, involved in other interests. Lots of lands were abandoned. The Government compensations to the farmers for explanting their vineyards did the rest. Our mission at SantaMariaLaNave is to protect the viticulture in this wonderful territory and pass it on to the future generations. In 2000, a local agronomist gave us the inspiration to undertake the wonderful adventure of creating a heroic vineyard in Contrada Nave, in order to safeguard some local vine varieties. For 15 years this agronomist had performed an accurate mass selection of the best plants of Grecanico Dorato and Albanello. All were ungrafted, many of them were abandoned and covered by brambles – just a bunch of them was still thriving in small gardens, thanks to the loving care of the last old and stubborn farmers of the area. In 2004, after a few years of researches, we managed to buy from some local farmers, who could not keep cultivating the land, a series of small adjoining plots, sunny and with a perfect exposure: patches of land that were ideal for a heroic viticulture. We started reproducing selected grafts, preparing the soil and finally grafting the plants. We grafted about 6000 accurately selected plants of Grecanico Dorato and approximately 500 plants of the almost extinct Albanello. The creation of our vineyard was performed in the complete respect of the environment, preserving the best existent plants (walnuts, cherry trees, chestnuts, pear trees, hazelnut trees, apple trees, oaks, olive trees and some old Alicante vines, a kind of red berry that is grown at extreme altitude on the volcano). Some specimens of Nocellara, a selected Etnean variety of oil olive tree, were accurately transplanted into another property of our family and today are used to make a wonderful extra virgin oil, for our family and our closest friends. During these initial years of our vineyard we replaced the usual gaps with new vines, planted with the offshoot method and therefore ungrafted. 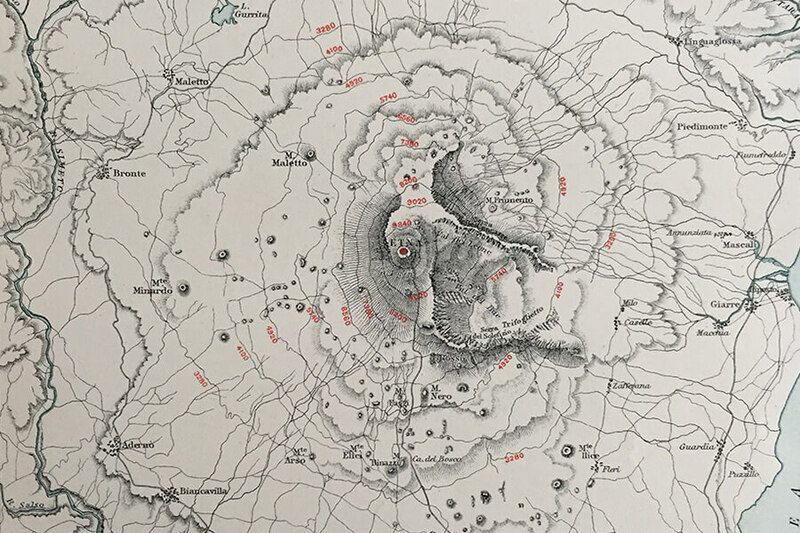 The offshoot method is a very ancient technique which was in use on some Etnean slopes, but mostly in areas at extreme altitudes that, thanks to their pedoclimatic conditions and to the purity of the territory and of the volcanic soils, are not at risk of phylloxera. Thanks to the offshoot method, the vines themselves give birth to other plants. Due to the extreme conditions of the territory and to our respectful approach towards the environment, we found a very high number of gaps in our vineyard, mostly caused by the voracity of wild animals. In spite of the damages they make, we gladly welcome them, since they are natural inhabitants of the place (and they were such way before us!) and they help us to preserve the delicate balance of the local ecosystem. Today our vineyard presents about 15% of ungrafted plants. We promised ourselves that, in our adventure, we would treat this small vineyard as an oasis, whose rhythm should be natural and chosen by the plants, and not by the human obsession to subjugate nature and use it to produce more to make more money. We promised that we would treat our vineyard as a garden, “breeding” plants that should be first of all healthy, without straining the production to the detriment of quality. During these years we have kept our promise, keeping our production levels under a kilogram per plants and maximizing the handmade work, in order to avoid the use of products that could be toxic for the environment. We wanted to preserve the perfect balance that Mother Nature had given us. We also promised ourselves that we would not rush to present our wine to its connoisseurs, but that we would learn to be patient by the plants themselves and by nature. Instead of jumping to full production, in order to maximize our gains, we limited to carry out some microvinifications, so we could study and understand our vines and our wine. We decided we would taste it, in order to understand its evolutional dynamics, its potential and its inherent characteristics. And so we did, for many years, with great humility. Our sole reward was going to Contrada Nave, our oasis-vineyard, and see our plants growing healthy and our wonderful golden grapes, that shone under the autumn sun before the harvest. Over the years we bought some adjoining patches of land from old farmers, who abandoned or was about to abandon them because they were no longer able to cultivate. We cleaned these small plots, thus saving plants that otherwise would have been neglected and at high risk of fire. We decided to call our vineyard at Contrada Nave “Vigna Casa Decima”, in honour of a small house in ruins that was located in the highest part of the whole area. The old local farmers called it “Casotta Punta Decima”. This small house had been an important point of reference, not only during harvests, but also during the Second World War. In it there was an old stone oven that the local women used to bake bread, whose fragrance flew through the vineyard. 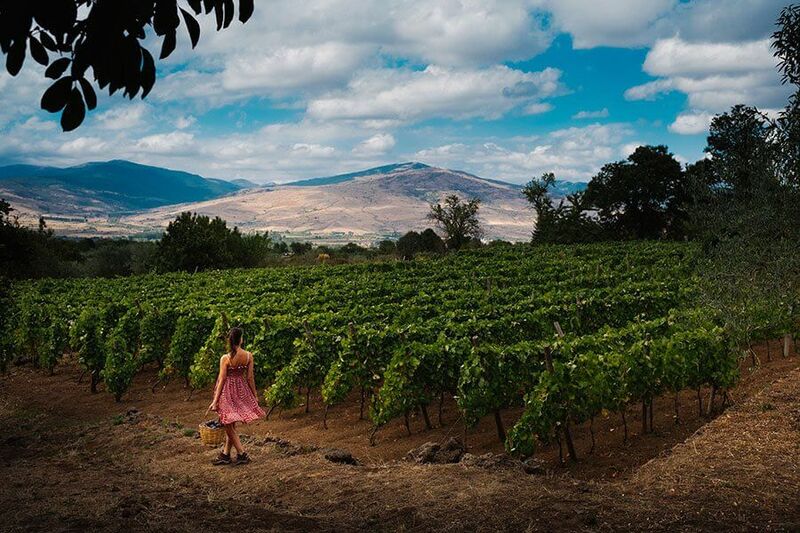 We chose to dedicate our vineyard to that small house, to the simple traditions it stands for and to all these ancient scents: bread, flower, must, wine – extinct, or at risk of extinction. They are the essence of our story. After 10 years and after tasting our wine in the family circle and with our winemaker friends, all local farmers, enologists, sommeliers, wine enthusiasts and wine lovers, we proudly understood that we had created an excellent product, one of a kind: Millesulmare, a limited and numbered production of cru of monovarietal Grecanico Dorato, from the heroic viticulture of our Vigna Casa Decima. 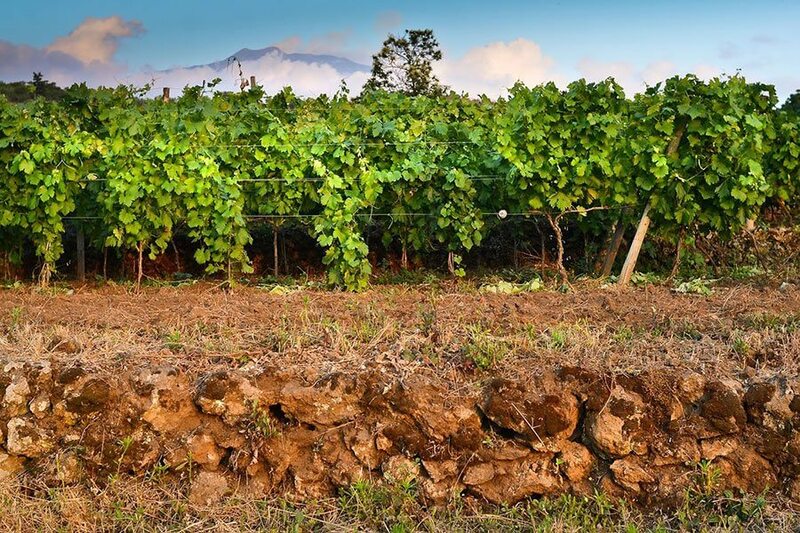 Its name stands for the heroic altitude where the grapes with which it’s made are growing, but also for its strong bond with the sea, where our volcano rises, and that pervades the culture and the typical flavours of the area. A wine with a distinctive character, coming from a heroic vineyard, made by winemakers which are just as indigenous as the vine varieties they grow, with a deep respect of the old local traditions, aiming to obtain the genuine flavours of the past. Hands of expert enologists, not invasive at all, who operate with the greatest possible respect towards the grapes and the simplicity that is the core of our philosophy. A project carried out by a family of patient owners, liven up only by our love and our desire to safeguard and foster ancient vineyards, ancient traditions, ancient flavours and a territory of extraordinary and mystic beauty. Over the course of the years we noticed that, in a plot of our Vigna Casa Decima at Contrada Nave, the mature grapes presented an acidity and a sugar concentration that made them perfect to make a sparkling wine. That depends on the presence of some secular cherry trees, walnuts and chestnuts, that grow on the borders of our property and reduce its exposure to the sun of about an hour every morning in August, September and October. We created the basis for a sparkling wine, with the same rigorous, minimalist and respectful approach that we chose for Millesulmare. We turned to a team of experts of the metodo classico of Franciacorta, who provided our winery with their longstanding experience in sparkling winemaking. That’s how we created our Tempesta, whose name recalls the extreme weather conditions where our vine varieties grow, at 1100 meters of altitude, but also the strength of the sea from where our volcano rises. A limited production of single-vintage metodo classico sparkling wine, from a monovarietal Grecanico Dorato. A few numbered bottles from a cru that originates from our spirit of research and innovation, that always aim to the complete preservation of the grapes and to adapt our production to what Mother Nature and our plants are offering us.